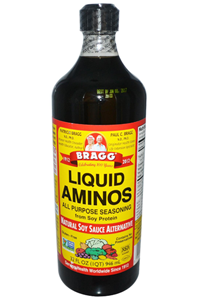 Bragg Liquid Aminos is a vegetable protein seasoning produced from certified non-GMO soybeans. Bragg Liquid Aminos is gluten free, kosher and contains no preservatives. 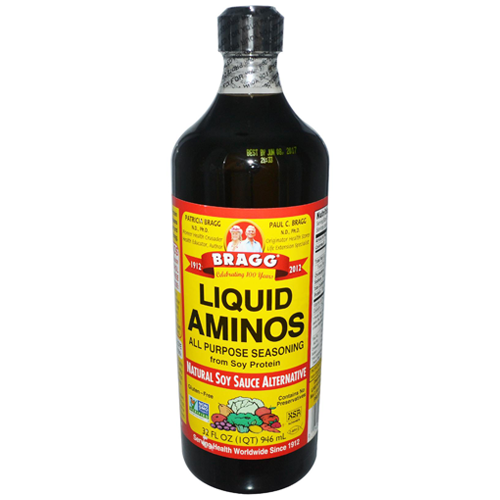 Bragg's Liquid Aminos contains naturally occurring sodium. No table salt is added. Can be diluted with 1/3 purified water or to taste. 16 Essential & Non-Essential Amino Acids in naturally occurring amounts from liquid NON-GMO soybean protein only. Shake if sediment occurs.